ShuBrew co-owner Erika Shumaker in ShuBrew’s brewery in Harmony. Women in the craft beer business? It’s becoming the rule, rather than the exception. And nowhere is that more evident than it is here, as members of Pittsburgh’s Pink Boots Society prepare to release five — FIVE — collaboration beers this spring, up from just a couple a year ago. What changed? There are a lot more members of the local Pink Boots chapter, which serves to promote women in the industry by providing training, scholarships and activities, like attending the annual Craft Brewers Conference. Pink Boots cracked those doors, here and across the country, and women in the biz here have thrown them open and marched on through. I visited ShuBrew in Harmony, Butler County, earlier this week to check on their brew day, which will result in a hazy IPA that will fit with their Pixelated series. Co-owner Erika Shumaker was there, as were a couple of female ShuBrew employees; the brew day also brought in Lauren Baker, the production manager at Slippery Rock’s North Country Brewing, and Christine Jenkins, who works at CNC Malt House, a new business that set up in an old elementary school east of Butler. Baker knows here way around a brewery, but for Jenkins, the experience was new. She spent much of the morning helping David Ieong, ShuBrew’s head brewer, who walked her through much of the process. And that’s pretty much the point, right? Jenkins said the experience she gained this week will help her when brewers approach her CNC for malts — and down the line, that will mean better beer for all of us. Shumaker said Federal Galley will once again host a debut party for this year’s Pink Boots beers, on a date that has yet to be determined. Also, look for events at Piper’s Pub, the Harmony Inn and at ShuBrew, which will host a tap takeover once all five beers are released. I can’t wait to taste those beers. And I can’t wait to see what happens as more women get into the business. It wasn’t that long ago that cans were reserved for macro beer — and treated with scorn by those seeking a better beer experience. That perception continues to change, nationally and locally. Just take a look around here: Grist House can’t keep cans of Fire on the Hill and Hazedelic Juice Grenade in the coolers. At Dancing Gnome, the weekly can releases almost always sell out on Day One. And at East End, the monthly canning run to keep Big Hop at distributors and on the shelves has turned into an adventure: Which beer will we can next? It’s varied from standbys like Wheat Hop, Bigger Hop or Green Giant, the citra IPA that was canned again this week, to some newcomers that the folks at the brewery decide deserve some special treatment. 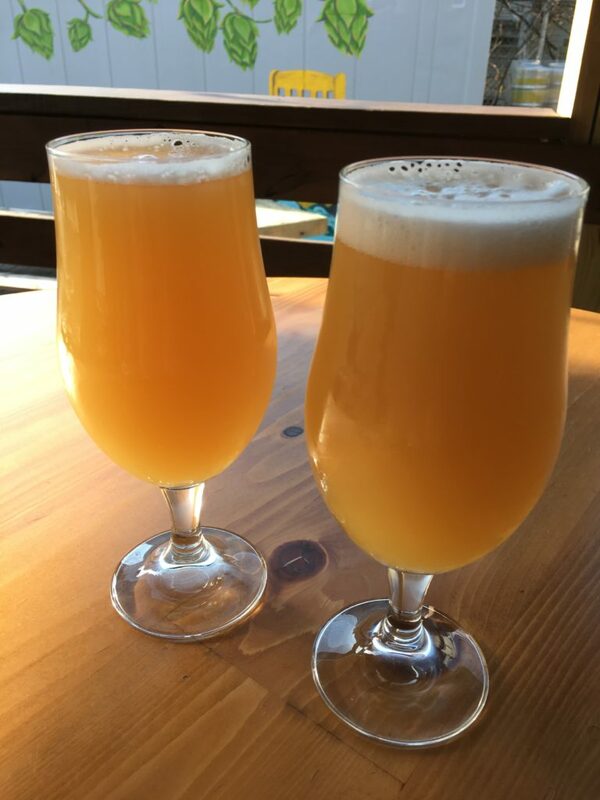 This week, that included two new beers: Partly Clahdy, East End’s dank and juicy New England-style IPA, and Seedless Watermelon Gose, a delicious mix of melon-y brightness and the tart salinity of the style. There’s a third new beer in the mix this week — Cherry Stomp, a Berliner Weisse made with sour cherries — but owner Scott Smith said the temptation to can that one as well was tempered by the fact that the guys from Iron Heart Canning, the Cleveland-based mobile canning company that made its monthly visit this week, had four beers to can already. And besides, as Mr. Smith added: They can always brew more. Those aren’t glasses of orange juice. Although the comparison is a bit more apt that you might think. Those are glasses of Hazedelic Juice Grenade, a newish IPA from Grist House in Millvale. 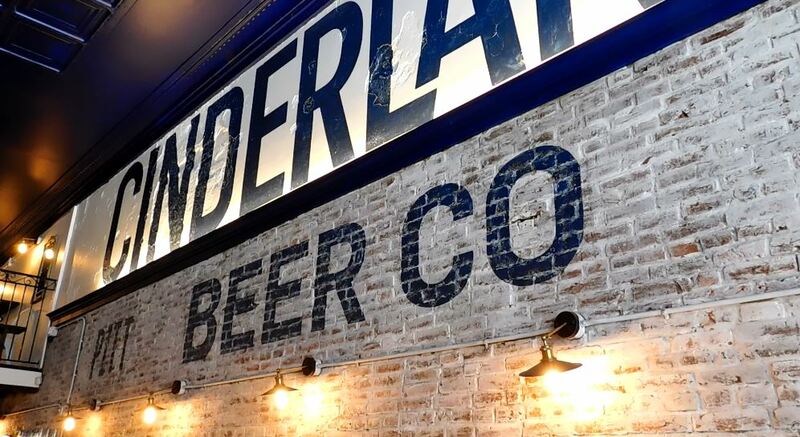 Hazedelic is part of a juicy new wave of IPAs and pales that are turning expectations about the styles on their heads, both here and across the country. The wave started in New England, apparently with a beer called Heady Topper, brewed by The Alchemist in Waterbury, Vermont. The goal was to make a ridiculously hoppy beer, but not in the way that a brewery like Stone — which can pump up the bitterness in its hoppy beers to brutal levels — does. Instead, Heady presented a mouthful of fruity, tropical hop flavors with nearly no bitterness . A rich, soft mouthfeel. And an opaque, bright, sunny appearance. 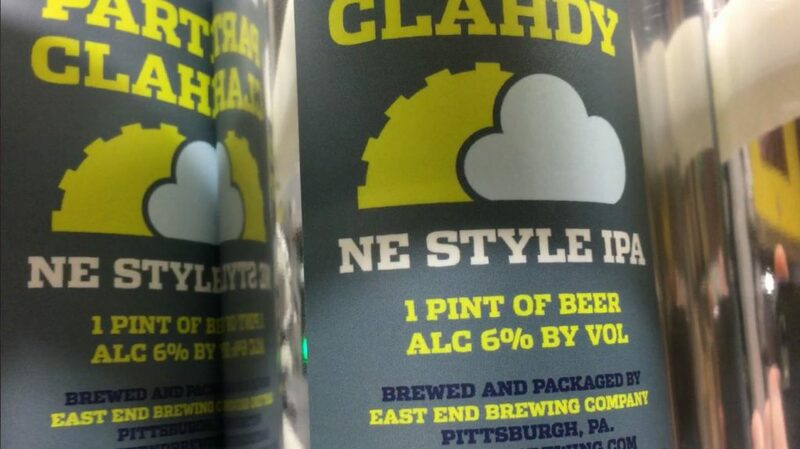 The brewery’s fans went nuts for the style, which spread around New England — New England IPA is the name that most use to designate a Heady-style beer — and beyond. It’s far from being the most remarkable thing about these beers, but the haze has become the hallmark of the style. In fact, that’s the subject of some controversy. Consumers have been taught in some cases that haze is a sign that a beer could be infected, brewers who have spent years trying to brew beer that pours crystal clear are now being asked to suddenly reverse course. 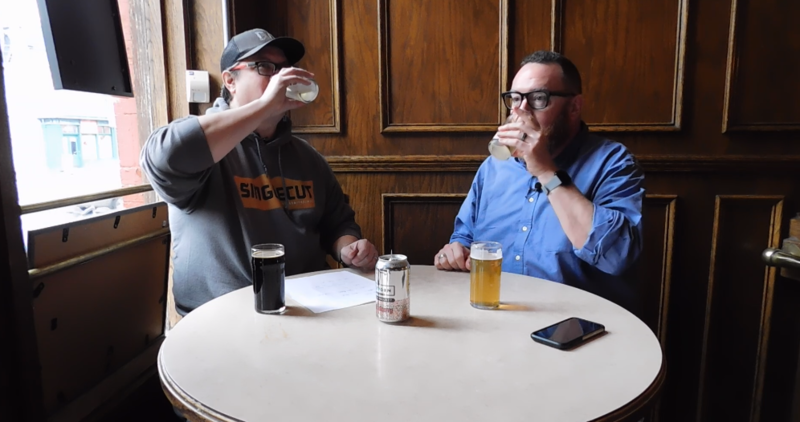 But those who have been making the style say removing the stuff that’s suspended in the beer would cut down the flavors they’re trying to find. I don’t have any fear of stuff floating around in my glass — being a fan of hefeweizen cured me of that long ago — and what the proponents say about flavor is exactly right, as far as I’m concerned; the bright, juicy flavors practically burst with each sip. And the hops are front and center, but in a way unlike the IPAs we’re used to. If you crave these beers like I do, you’re in luck. In Pittsburgh, they’re not hard to find. For the show, I tasted beers from Grist House, Dancing Gnome and Sole Artisan Ales, a gypsy brewery that operates in Eastern Pennsylvania. But there are plenty of other solid-to-spectacular examples of the style all over the region, so they’re not hard to track down. The other bit of good news: It seems as though they’re not going away anytime soon. 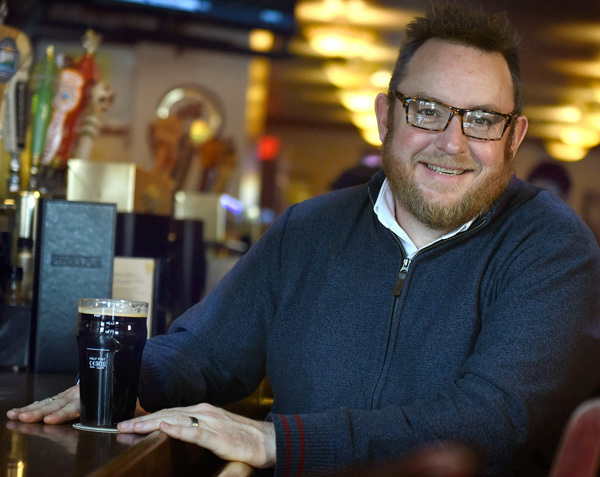 Hart Johnson, the cellarman at Piper’s Pub on East Carson Street, says the juicy pales from Dancing Gnome sell on par with Guinness in his British pub … and that’s a sign that the new school is here to stay.